Special Offers! Need a Refrigerated Vehicle? 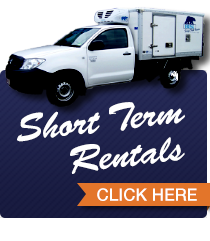 Give us a call to check out our weekend rate to Rent a Brisk Fridge Truck or van on a Friday after 4pm and return it by 9am Monday, Price includes 400 Kilometres travel ,excluding GST and tolls. Give us a call to check out our Mid Week rate to Rent a Brisk Fridge Truck or Van overnight. You pick up at 4 Pm and return the vehicle by 9 am the following day. Price includes 100 Kilometres travel ,excluding GST and Tolls.